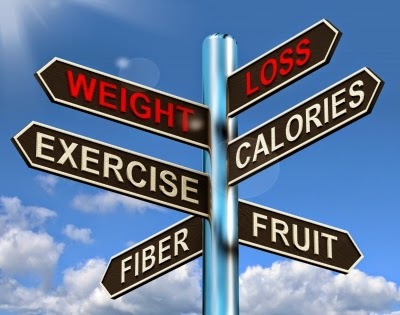 Are you tangled in the web of weight loss fads and endless contradicting information on the web? Hopefully you haven’t fallen victim to one of these fads, wasting money and time with the hopes to lose a few pounds, only to gain more back in return. I know, it’s frustrating and millions of people share your pain. Below I explain several myths that you might be doing right now to try and lose weight. If you are, then stop wasting your time and money. The fact is, whatyou eat is more important than how muchyou eat. If you don’t eat enough, your metabolism will slow down, making your body want to store fat. As a result, your initial weight loss will come from water and muscle, instead of fat. You should try to consume healthy food choices and save those foods (and beverages) that are high in fat, sugar and calories for special occasions. Yes, you can have those unhealthy food choices from time to time, in fact, it’s encouraged. Without a cheat meal or snack every now and then, you will get frustrated and lose sight of your goal. Please note, I said a cheat meal, not a cheat day. I see too many people doing cheat days, which is way too much for your body to overcome on a weight loss plan. This is a very old and popular myth. Your fat intake should be limited to around 15% of your overall daily calorie intake. Fat is needed in any diet to lubricate your joints, keeps your skin smooth and elastic, provide a source of energy, help your nervous system function properly and more. Olive, flaxseed and fish oils are good sources of fats. Fats to avoid include saturated fats and hydrogenated fats (also known as trans fats). You’ve certainly heard this before, “Carbohydrates are bad for you and should be avoided”. This myth has been trending lately as fad diets like Atkins and its copycats become more and more popular. The truth is carbohydrates have a moderate amount of calories (about half as many as fat). Simple carbohydrates (sugar) should be limited, but complex carbohydrates: whole grain and starches are high in nutrients. The problem with carbohydrates is portion control. Too many people eat at restaurants with huge portion sizes loaded with 5 times the amount of carbs needed for a given meal. The best way to control your carb portions is to cook for yourself. Meat is a great source of protein, but it certainly is not the only source. Meat can also be high in fat and sodium so many people look for alternative sources of protein. Egg whites are a prime source of protein and so are various vegetables and legumes like peas, spinach, Brussels sprouts and broccoli. Adults should engage in a workout regimen for at least 30 minutes a day at least 4 days a week. Research has shown that the activity does not need to be done all at once. The 30 minute routine can be split into two 15 minute intervals and provide the same health benefits. Vegetarians on average eat fewer calories and less fat than carnivores (non-vegetarians). However, vegetarians can make eating choices that contribute to weight gain by eating large amounts of high-fat, high-calorie foods as well as food with little nutritional value. The term vegetarian is not synonymous with health. The best way to be sure you are getting a well balanced, nutrient rich diet is to eat more whole foods and less processed, pre-packaged foods and to avoid eating out as much as possible. Make eating out an occasional treat, but try to prepare most of your meals yourself and you will be on your way to living a healthier, leaner lifestyle. With your new found knowledge of weight loss, grab yourself a deck of my new invention, Weight Loss Stack 52, weight loss cards. This guest post was written by Michael Volkin, inventor of Weight Loss Stack 52 (currently undergoing crowdfunding), the most unique and fun way to lose weight.